Now Max has become more independent with his reading, he's picking bigger and longer books to get stuck into. One author that has stood out amongst the crowd is David Walliams. I often creep into Max's room at night to find him sleeping with a book over his head, or staying up too late with a torch to just finish one more chapter. His Dahl-esque comedy and outrageous stories have been such a huge hit with children that they have been turned into numerous short films and stage shows. The Birmingham Stage Company transformed Gangsta Granny into a hit play a couple of years ago and we couldn't wait to see their take on our favourite, Awful Auntie at the Mayflower in Southampton. 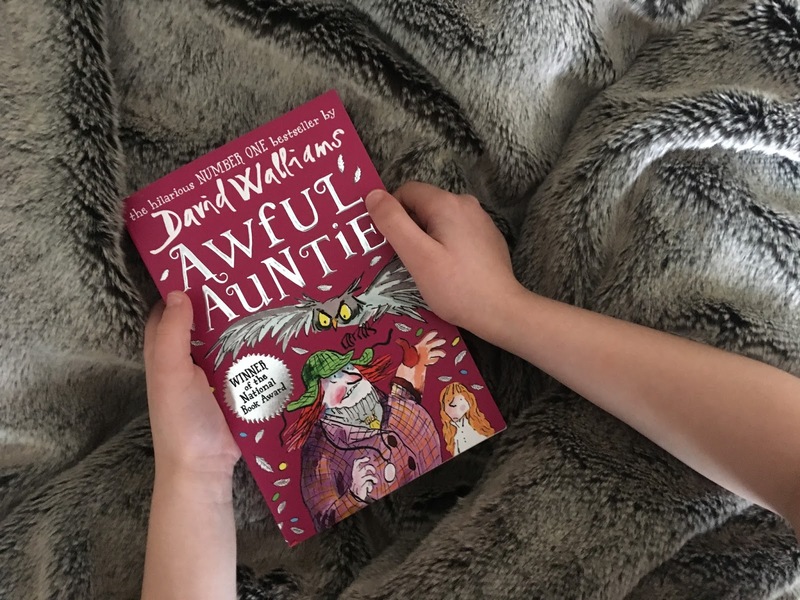 Awful Auntie tells the story of young Stella Saxby, a 12 year old who wakes up from a coma to find herself orphaned from a horrific car accident. Left in the care of her slightly odd Aunt Alberta and her owl companion Wagner, she realises that things aren't exactly what they seem. Stella must use her best Sherlock Holmes inspired sleuthing skills along with her new friend Soot to find out the truths that lie behind the great Saxby Hall. We had just finished reading the book the night before we saw the show and Max had lots of questions about how they would pull off some of the crazy stunts in the show. Thankfully he didn't need to worry. The show is a fantastic mix of thrills, laughs and scares to keep kids literally sat on the edge of their seat. 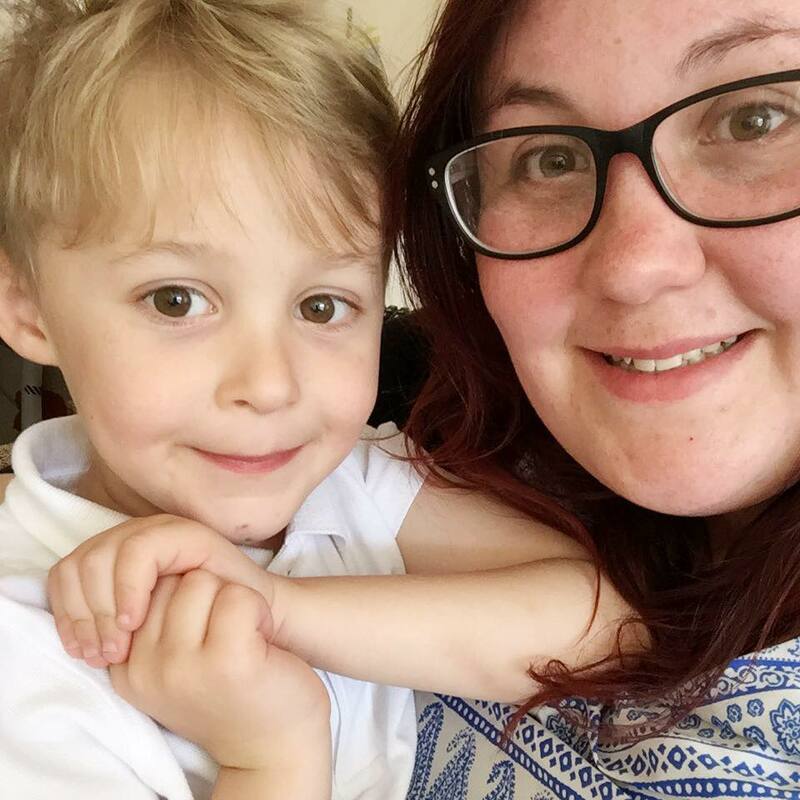 Both me and Max were on tenterhooks throughout and every parent and child in the theatre were in awe of what was happening on the stage. The stage was comprised of four turrets that formed the exterior of Saxby Hall, throughout the show these would turn and move around the stage in such a magical way that before you knew it you were transported from the garage to the library or cellar. With clever staging, it meant that the characters could transform to different places before your eyes up chimney style ladders and chutes. The minimalistic set really works well for a story like this as it lends well to the over exaggerated and slapstick style portrayals of the characters. Add to that a fantastic use of puppetry throughout the show, and it was a winner in our books. The casting was fantastic, and I can honestly say that it couldn't have been cast better. Georgina Leonidas took to the stage as young Stella Saxby and her portrayal of the character blew us away. She fully convinced us that Alberta was a murderer, that she needed help and that she could win if she put her mind to it. Timothy Speyer did an amazing job of playing Aunt Alberta, with an intimidating yet comical Miss Trunchbull vibe, he really had us laughing and cowering in our seats throughout the whole show. Max's favourite character was Soot (Ashley Cousins), the loveable sidekick in the show. I won't give away his whole character as it would spoil the story. But Max loved the way he really instilled the meaning of friendship in the play. He also loved the plate throwing scene, which he still says is one of his favourite parts even after seeing the whole thing. My favourite had to be the fantastic butler Gibbon (played by Richard James) who gave the much needed comedy breaks throughout the drama of the show. Max and I were in fits of laughter when he would continually mix up household objects completely oblivious to everything else going on in the story. With a mix of tense and slightly scary moments, we wouldn't recommend it for those younger than 5 or those that get scared easily. Having said that, it was beautifully broken up with comedic moments that left us crying with laughter and poignant ones that really touched the morals of the story. 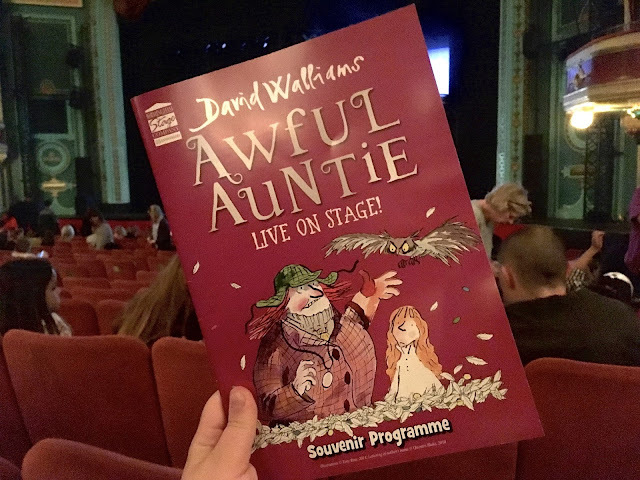 Awful Auntie was a play that sent us on an emotional rollercoaster in all the right ways and left us invested in the characters and wishing we could see more. A fantastic play that all the family will love and enjoy, and the perfect Easter night out for us! Awful Auntie is on at the Mayflower in Southampton until Saturday 7th April and is then on a national tour until the end of 2018. 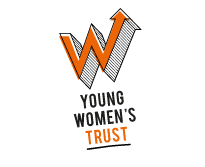 For more information or to book tickets, head to the Mayflower Theatre. *Note: Tickets were gifted for this show, but all opinions and thoughts are our own.